24 inch Iron Wall Hanging is the perfect accent to bring a harmonious aesthetic to dull rooms. 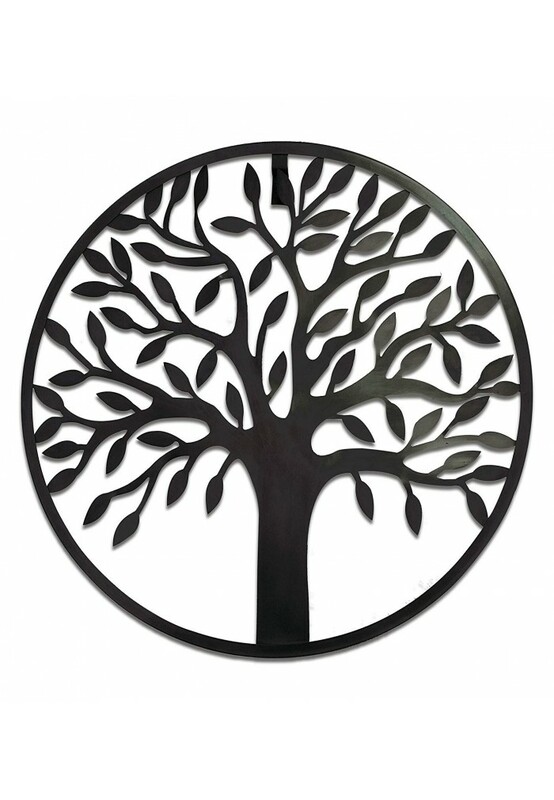 Add a bit of three-dimensional depth to walls with DecorShore’s Harmony Wall Sculpture. 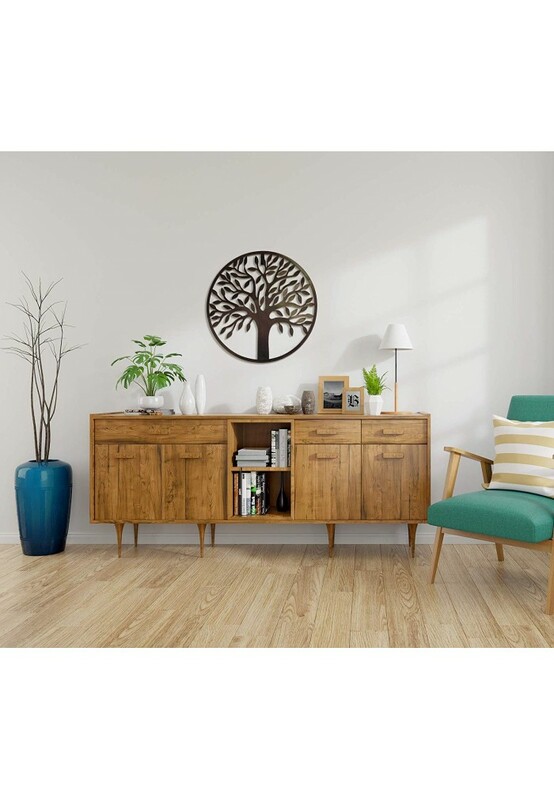 Blend with natural or bold colors - the bronze finish is versatile and the style is transitional to effortlessly complement a wide variety of home decor styles. Handcrafted and composed of durable iron for years of use and decorative repurposing in different spaces. The organic subject matter and aesthetic pairs very well in rooms utilizing mixed metallics to create a cohesive space. The 3D depth can be used to create subdued whimsical visuals; the California Casual Look, or an Industrial Chic look, rich in dark colors and metallic sheens. 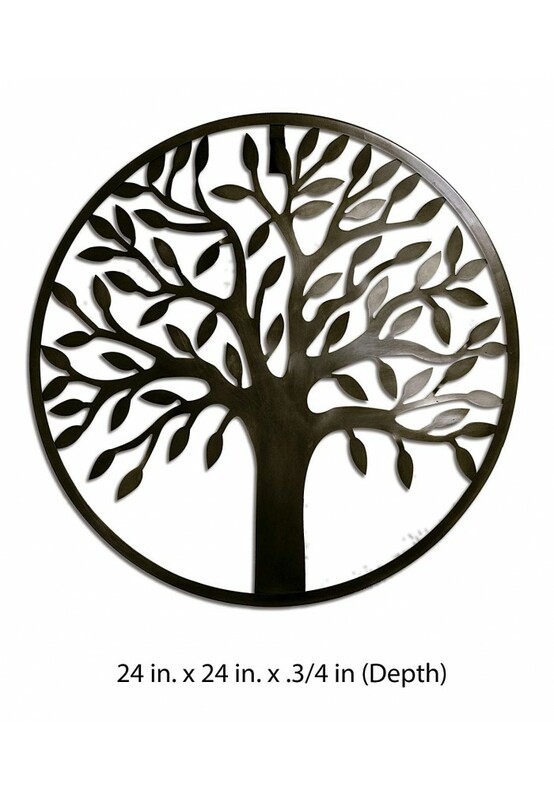 No matter how you choose to use this exquisite tree sculpture, you can be assured that you are receiving a unique, handcrafted piece that will bring a timeless, harmonious aesthetic. Balanced Tranquility Tree of Life in Bronze - Inspired Metal Wall Hanging is Perfect for living rooms, bedrooms, dens, offices, the study, entryways and more.